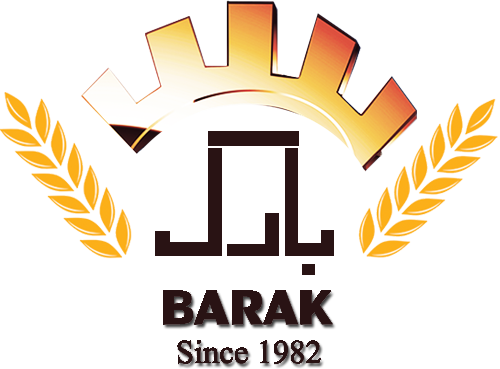 BARAK INDUSTRIAL AND MANUFACTORING COMPANY HAS MORE THAN 30 YEARS CLEAN RECORD FOR PRESENTING BREAD- BAKING MACHINERY. THIS COMPANY HAS ALSO THE MAIN SHARE FOR PRODUCING AND EXPORTING THESE TYPE OF EQUIPMENTS IN IRAN’S INSIDE AND OUTSIDE TERRITORIES. COMPANY’S PRODUCTS TO COUNTRIES SUCH AS JAPON, GERMANY, CANADA AND… ARE A WITNESS FOR COMPANY’S KNOWLEDGE AND EXPERIENCE AND EXPERTISE IN USING THE MOST MODERN TECHNOLOG IN CONNECTION WITH BREAD-BAKING MACHINERY.